It what many started out thinking was going to be a single-file snooze fest, the 2019 Advance Auto Parts Clash at Daytona International Speedway yesterday ended up being an expensive day for a lot of Monster Energy NASCAR Cup Series Teams. That included the new team of No. 1 driver, Kurt Busch. Busch sat down after Sunday’s race to report what he saw. The Monster Energy NASCAR Cup Series is back on the track this Saturday, and we’re just over a week away from the 2019 running of the Daytona 500. Brad Keselowski sat down to talk about the Daytona 500, its history, and the difficulty of winning it. In a Daytona race marked with several “Big Ones,” in the end, a new first-time winner ended up in victory lane. The No. 20 driver though says he was surprised at how quickly he was able to actual get a win in the Monster Energy NASCAR Cup Series. Richmond International Raceway becomes the third International Speedway Corporation to do major overhauls and improvements to their track facilities. Announced today, the RIR project focuses on the infield and its facilities. Driver of the No. 95 Leavine Family Racing, Michael McDowell is heading to Kentucky Speedway with LFR for the first time with the team. Filling in for the injured No. 43 driver Aric Almirola, Darrell “Bubba” Wallace Jr. will get his debut in the Monster Energy NASCAR Cup Series this weekend at Pocono Raceway. 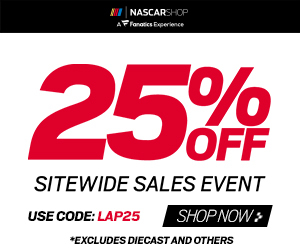 The Monster Energy NASCAR Cup Series returns to restrictor plate racing this weekend at Talladega Superspeedway, and Leavine Family Racing and their No. 95 driver, Michael McDowell are looking to capitalize on their past superspeedway success.